On 13 May 2014, a fire broke out following an explosion in a mine located in the Soma district of Turkey's western province of Manisa. The mine is operated by the private company Soma Holding A.Ş, which purchased the operation following its privatization in the 1990s. 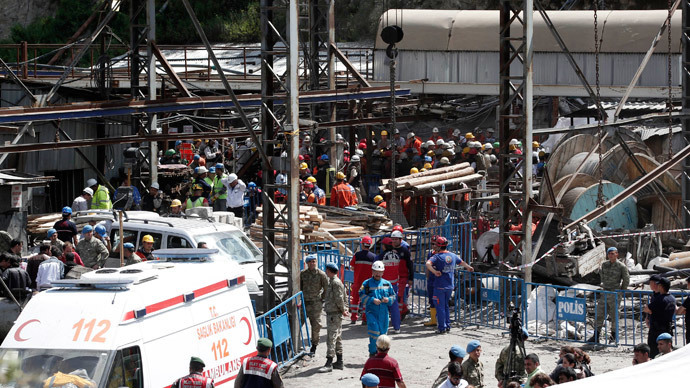 Nevertheless, Turkey's Minister for Energy and Natural Resources Taner Yildiz took some responsibility for the disaster, expressing his apparent grief in the words that, "We are moving toward the worst mining disaster in Turkey" yet also stating that "death toll figures are not important." This statement could be taken as an indication of his Neo-Liberal beliefs that the human costs incurred in the search for ever greater profits are negligible and even inevitable. After all, Soma Holding is the company behind the free bags of coal distributed by the AKP (or Justice and Development Party) in the run-up to elections, as the firm has been able to decrease the cost of coal from $130-140 dollars per ton to $23.80 dollars per ton due to the royalty model introduced by the government in 2005, when 11 coal fields were offered to the private sector. In fact, the AKP has nearly doubled the share of coal in Turkey's domestic energy production through its privatization drive. Last February, Yildiz posted on his ministry's website that "it is impossible to achieve the vision of 2023 [formulated by the AKP for Turkey's centenary] goals without coal. Turkey wants 30 percent of the targeted energy production of 100 billion MWh [or megawatt hours] per year in 2023 to be from [domestic] coal. If it is considered that the present day share of coal is at 13 percent, then [domestic] coal's share in the overall production of energy will be doubled [by 2023]." In a report released last month, the EIA (Energy Information Administration of the United States) points out that Turkish coal consumption has risen from 80 million tons to 110 million tons in the period 2001-10. The EIA further notes that, "Turkey has total recoverable coal reserves of 2.3 billion short tons, according to BP's Statistical Review of World Energy 2013. Only 529 million short tons (MMst), or about 23 percent, was ‘hard coal’ (anthracite and bituminous). The remaining 1,814 MMst consists of lignite coal reserves." As a result, in 2012 Turkey had to import 23 percent of its total coal supply for energy generation. Against the backdrop of this ambitious scheme for Turkey's future, its present-day business and government leaders do not shy away from coming together and cutting corners if necessary. As a private business organization, Soma Holding, is very close to Turkey's current AKP-led government, as indicated above. But these close ties have turned personal lately. During the recent local elections, Melike Dogru, the wife of Ramazan Dogru, Soma Holding's Mine Enterprises' general director, became a member of Soma's municipal council as a member of the AKP. And according to the Turkish journalist Nevval Sevindi, speaking on the independent television channel, Halk TV, these cozy relations between a private firm and the party in government even lead Soma Mines to demand its workers join the AKP and vote accordingly in elections. As a result, the AKP leadership immediately took hold of the Soma disaster to shape the nation's agenda. The popular (yet divisive) prime minister, as always, took the lead on his visit to Soma following the tragedy. Recep Tayyip Erdogan gave a press conference, and even though he arguably meant to ease the pain, his words all but inflamed the Turkish public: "I went back in British history. Some 204 people died there after a mine collapsed in 1838. In 1866, 361 miners died in Britain. In an explosion in 1894, 290 people died there. Take America with all of its technology and everything . . . In 1907, 361 [miners died there]," and adding salt to the wound he had just opened further the PM concluded that “these are usual things." And then Erdogan added, "in 1942, 1,549 miners died in China due to a mixture of gas and coal." The government then started exercising a tight control over the news media, assuring that unwelcome news and figures would not hinder the AKP's handling of the matter. Erdogan even went on a walkabout in the town of Soma. The BBC reported on Wednesday that the "car containing Turkish PM Recep Tayyip Erdogan was mobbed by angry protesters on a visit to Soma ... Demonstrators lined the streets and called on Mr Erdogan to resign". In fact, the beleaguered Erdogan was booed as he emerged from his car and subsequently fled the scene on foot, clutching his car's 002 number plates, and seeking refuge in a local supermarket. The popular unrest in Soma was widespread and one particular violent scene was then caught on camera. A number of arrests were made, while the police were trying to contain the crowd. The picture spreading like wildfire across Turkey's internet shows two soldiers holding down a protester, while a third person dressed in suit-and-tie is kicking the man on the ground. The person delivering said kick has since been identified as Yusuf Yerkel, an adviser to the PM. The Turkish English-language paper Hürriyet Daily News states that "according to witness accounts, the special forces were interrogating the protester after he kicked an official car belonging to the convoy of the prime minister. Yerkel, who saw the scene as he was preparing to take a seat in the car assigned to him, reportedly ran at the protester, kicking him three or four times." Yerkel has since released a statement expressing his sorrow, yet failing to apologize or even articulate remorse for the victim, who seems to have somehow disappeared. Despite the best efforts of Turkish journalists, the man on the ground is yet to be identified. But it wasn’t just Yerkel who was caught on camera; even the PM himself was captured in a more than compromising situation. A video clip emerged on social media on Thursday May 15, showing the PM and his bodyguards while walking towards the supermarket where the beleaguered leader wanted to seek shelter. In the midst of a crowded area, some kind of disturbance occurred and the PM's fist can be seen going up. Shot from another angle, in another clip from yet another security camera, one can clearly hear an angry Erdogan say "This is an insult" before hitting a person wearing a blue T-shirt with his fist. The following day, Friday May 16, these images were all over Turkish television as well, and the PM's victim also appeared. Rather than being an angry protester, the person in question identified by the Turkish pro-government television channel Kanal D as a young man by the name of Aytac Can publicly declared that he was caught in the melee while shopping. He furthermore stated his gratitude to the PM, as he would not have had a job if not for the privatization of the mine. And concluded by saying that he was not going to press charges against the PM, but rather that he would issue complaints against the Tayyip Erdogan's bodyguards for manhandling him. The fact that the security footage which emerged does not really align with the statements made by the alleged victim creates the impression of something untoward. Erdogan and his minion, Yerkel, appear to have been caught in the media crosshairs, but the party machine appears to be handling the situation well for now. Turkey is no stranger to mining accidents and about two weeks ago the main opposition parties' parliamentary proposal that sought to look into the frequent deaths at coal mines in the town of Soma was flatly rejected by the government. The Cihan News Agency, affiliated with the Gülen-led Hizmet Movement, reports that "in October of last year ... [the CHP member Özgür Özel] together with 51 other CHP deputies submitted the declined parliamentary question for a commission to be set up. The National Movement Party (MHP) and the pro-Kurdish Peace and Democracy Party (BDP), whose deputies are now a part of the People's Democratic Party (HDP), also offered support to the CHP's proposal at the time." But on April 29, deputies from the ruling AKP rejected this, in hindsight, more than timely proposal. Özel gave a poignant speech that day: "There are non-stop explosions in the coal mines in Soma and we lose our workers in those explosions. The answer given to our motion is, ‘We have monitored them 10 times, found 66 cases of wrongdoing and we fined those responsible.’ The result: New explosions, new deaths. There is a company ... [the company named in this speech was not the one where the latest explosion took place] ... They have the best of relations with the Manisa parliamentarians. There are huge problems and flaws and it has been monitored several times, but never penalized. So what’s the secret? The secret lies in this helmet [he shows a mine worker’s hardhat]. The prime minister takes the stage on a rally in Manisa’s Republic Square and says: ‘Are my worker brothers from Soma here?’ 3,000 coal mine workers from Soma, lined up with military discipline, raised their helmets, standing straight, unhappy and unenthusiastic. Because a day ago, their lunch tickets were collected in the mine. The tickets will be redistributed back at the end of the next day's rally. The prime minister first has to be saluted and identity cards will be recollected [by the workers]. The daily wage is active; there is work to do for the prime minister. You salute the prime minister, if you don't you will be fired the next day. Those not fired go back down into the coal mine. The mine explodes; the worker dies; those who die, die; those who remain alive are enough for Recep Tayyip Erdogan." Süleyman Celebi, a Republican People's Party (CHP) deputy and former head of the Confederation of Revolutionary Workers' Unions (DİSK), declared to the Turkish press that, "this is no work accident; this is work murder," adding that “if one of our proposals had been given consideration [by the government], there would have been no such accident that could claim so many lives." At the moment, the remains of nearly 300 workers have been recovered. A total of 787 miners were underground when the explosion occurred, and about three hundred of them have been rescued, while nearly 200 are still missing. The local branch of the Chamber of Electrical Engineers released a statement on May 14 with the heading "What Happened in Soma is not Fate, it is Murder." Whereas the Izmir branch of the Chamber of Electricians released a statement that said that the "fire [in the mine] was not caused by an electrical situation as presented to the public in the first statements" and inspectors affiliated with the Chambers declared that their "inspection revealed that the systems to sense poisonous and explosive gases in the mine and the systems to manage the air systems were insufficient and old." At a depth of 700 meters a coal fire erupted and subsequently, air fans pushed the flames and smoke throughout the whole mine. As a result, the miners inside were trapped and inundated with smoke and fire. 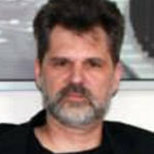 Andrew Gardner, researcher on Turkey at Amnesty International, said that "this was a tragedy that should have been avoided. 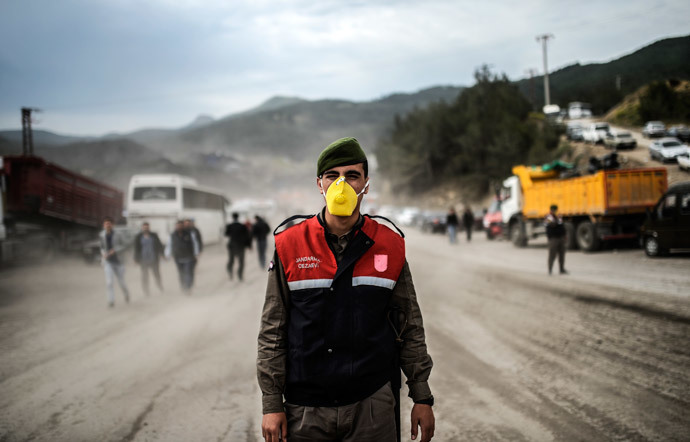 The long history of deaths in mines in Turkey raises chilling questions over workers’ safety. The fact that the government rejected recent calls by parliamentarians to investigate serious work-related accidents is nothing short of shocking. They are playing with people’s lives." The displays of popular discontent in Soma and throughout the rest of the nation, would lead anyone to assume that the AKP's role in this mining disaster bodes ill for Erdogan's presidential ambitions, but the tight media control (or censorship) exercised by the government really assures that the AKP's grassroots supporters are spared such unpleasant views and news. On the other hand, the labor unions DİSK (Confederation of Revolutionary Workers' Unions), KESK (Confederation of Public Workers' Unions) as well the Turkish Medical Association (TBB) and the Union of Chambers of Turkish Engineers and Architects (TMMOB) have announced strike action in protest against the clear signs of negligence in the Soma mines and the culpable policy of privatization carried by the AKP government. Amnesty Internationals' Gardner forcefully concluded that the "Turkish authorities must launch an immediate investigation into the causes of the explosion. Remedies must be made available to the survivors and the victims’ relatives. Soma Holding must fully cooperate with the process and the results of the investigation must be made public." But it seems that rather than uniting the population in grief and determination to improve workers' rights and safety, the Soma tragedy will do nothing but further polarize the Turkish population into opposing camps – opponents and critics of the AKP versus believers and followers of Tayyip Erdogan.